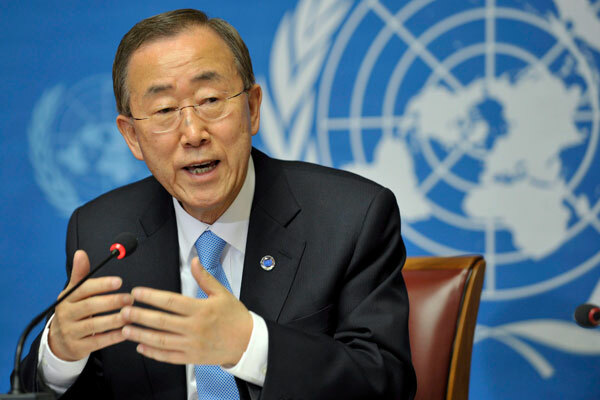 UNITED NATIONS, Sept 4 (APP): UN Secretary General Ban Ki moon has condemned Friday’s bomb attack on a night market in Davao City in the Philippines that killed at least 12 people and injured dozens, his spokesman said Sunday. The Secretary General stresses the need to ensure accountability and to bring to justice the perpetrators of these terrorist attacks, the statement said. The Secretary General extends his deepest condolences to the families of the victims and wishes a speedy recovery to those injured, and stands with the Government and people of the Philippines, it added.